we’ve recently discovered this massive wet market in tsuen wan. we’re not kidding, it’s 3 stories filled with sights, sounds, and smells. the ground floor is entirely overloaded with seafood stalls. each vendor has a unique item that is different from the neighboring competitors. usually, there are daily specials for seafood. the last time we visited, scallops were the fresh catch of the day. 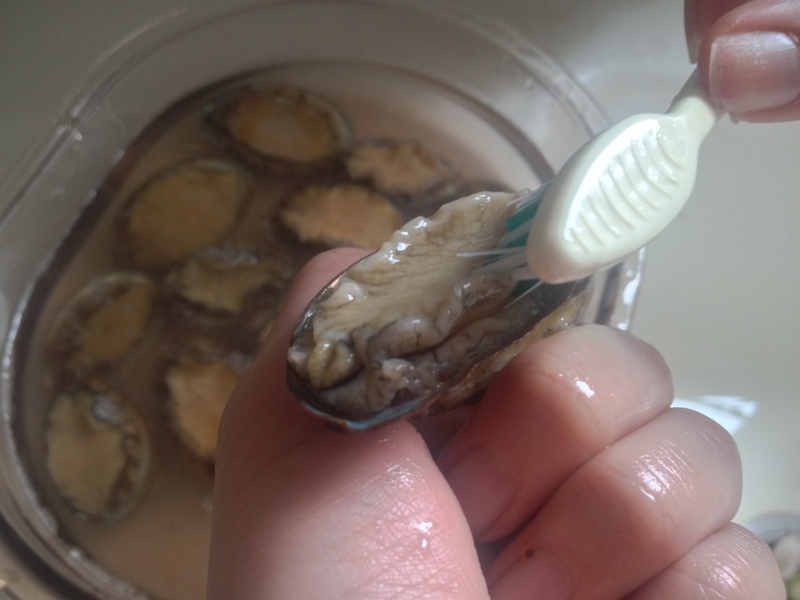 this time, it was mini abalones. 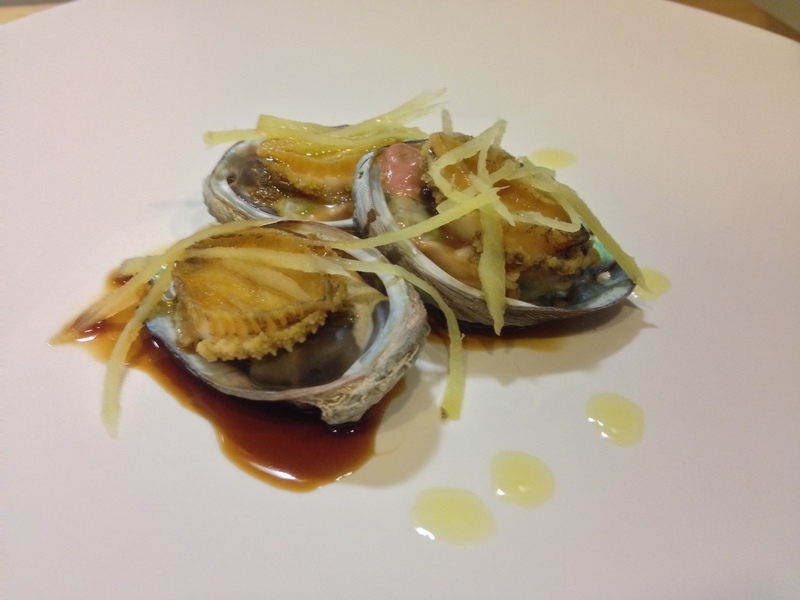 a plate of 14 delectable molluscs for only $25 hkd. we know that large abalones are quite expensive, so it was definitely a surprise to see them, regardless of size, sold for such ridiculously low price. 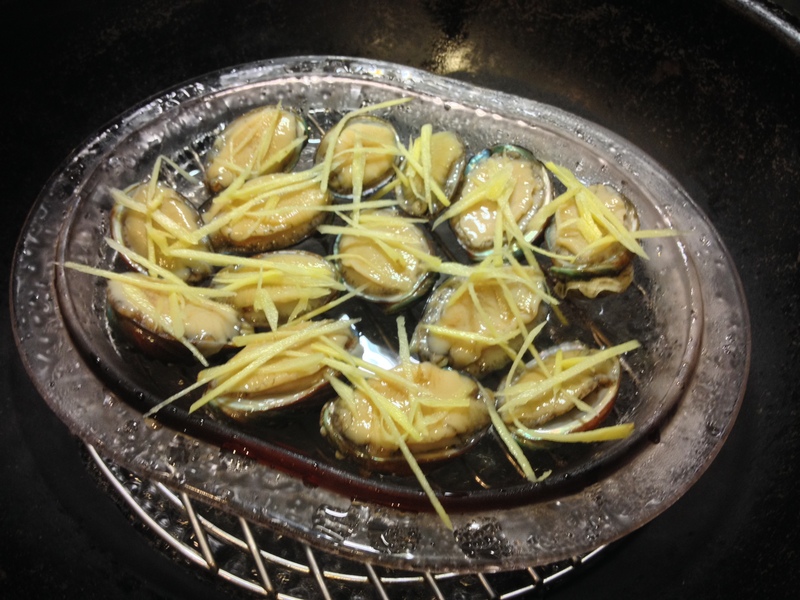 a very simple way to prepare abalone is to steam them for a few minutes and drizzle lightly with oil and soy sauce. it doesn’t get tastier than that. the key is to highlight the flavor of the seafood, not mask it. avoid eating the gut that’s hidden under the meat and inside the shell. you can clean it out first before steaming, or simply cut off the meat when cooked. also, some people like to heat the oil first in a saucepan then pour it over the abalone. this helps bring out the aroma of the oil.